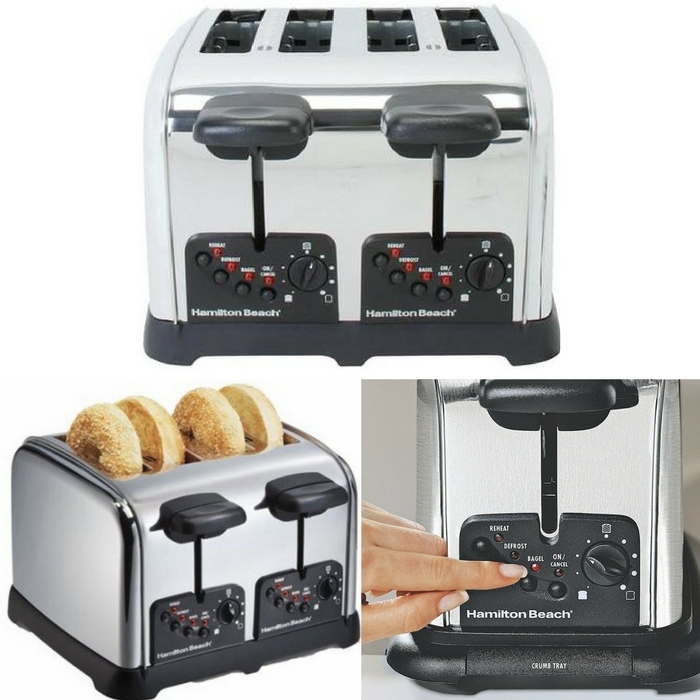 Hamilton Beach 4-Slice Toaster Just $21.48! Down From $50! You are here: Home / Great Deals / Amazon Deals / Hamilton Beach 4-Slice Toaster Just $21.48! Down From $50! Score this awesome deal at Amazon! Hamilton Beach 4-Slice Toaster is now on sale for just $21.48 down from $50! It’s FREE shipping with Amazon Prime or for orders overs $35! This is a great addition to your kitchenware collection! In addition to unmatched practicality, Hamilton Beach 4 Slice Toasters are attractive, durable and easy to use. Plus, our toasters equipped with automatic shutoff, toast boost and a removable crumb tray for easy cleanup.